Long before yesterday we knew which arguments would be put forward during Monday's parliamentary debate on safe standing in Westminster Hall. MP after MP we've heard the same arguments, some put better than others. From those in favour of reviewing all-seater regulations to allow standing, comparisons to Bundesliga (we've ocunted 11!) 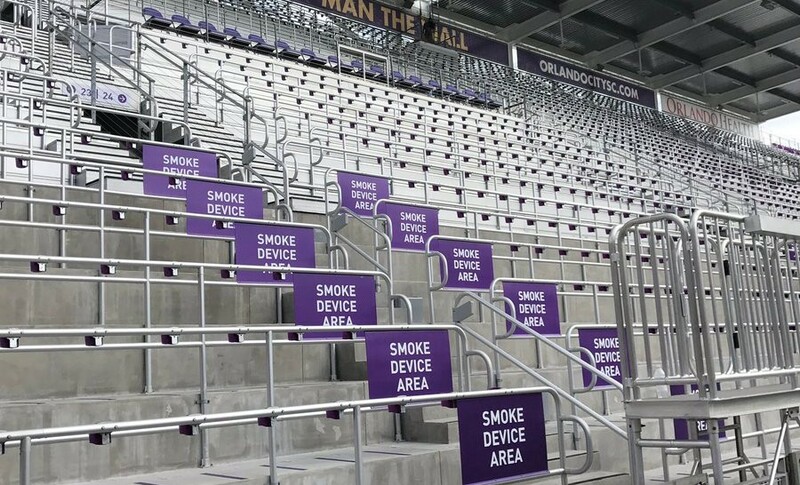 or even MLS (Orlando in particular) were heard, with modern stadiums across Europe and USA being built in order to safely accommodate standing crowds. Perhaps more important, internal comparisons within the UK show just how unjust the current legislation is. If a team spends 3 seasons or more in Championship or Premier League, the stadium has to be converted into an all-seater. Is it somehow less safe by the virtue of these 3 seasons? Not at all. Is it less safe than that very same stadium for rugby spectators or concert-goers? Not at all. No real opposition to safe standing was seen throughout the lengthy 2.5-hour debate, which was forced by stunning show of support and over 110,000 signatures within weeks under petition launched by a 16-year-old boy. One very sensitive note was touched several times, though, and you surely know it already: Hillsborough. Families of those 96 LFC fans are still grieving after that tragedy and with them in mind restraint was shown throughout the meeting. Not only the online petition, to which we owe Monday's debate, shows just how supported the introduction of safe standing is. Surveys of football fans within different clubs constantly show support of over 90% for standing, including from those who prefer to sit but wish not to take the chance from others. Be it 95% at Aston Villa, 96% at Arsenal or 92% throughout Championship in what proved to be the largest ever EFL survey, filled by 33,000 people. It's thus no wonder that league authorities at EFL officially support safe standing. 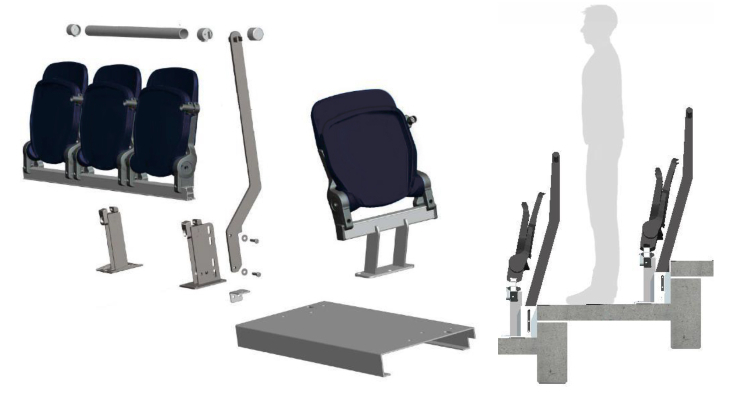 At present EFL (three leagues: Championship, League One, League Two) has 21 teams with certified standing sections and the league's stance is that every club should have to option to provide a standing section. EFL proposes a scheme which would limit possible standing sections to 7,500 people per stand and 20,000 per stadium, however the leagues also stress that most of the detailed regulations should be set at local level. This year's momentum for safe standing is owed to many factors, among them an ignorant statement by sports minister Tracey Crouch, who claimed no review of all-seater rule is necessary and that safe standing is an issue raised by the vocal minority. Meanwhile, the grassroots campaign launched years ago for safe standing has been showing rewards as Shrewsbury Town became the first club to launch a fan-funded safe standing area. Following the debate Tracey Crouch assured her mind is open and official review of existing rules is now underway. Updated Green Guide for stadium safety is to be released later into the year, now including the issue of installing railings and standing. While the sports minister claimed not enough data on safety issues in all-seater areas is available, it seems quite obvious to supporters that jumping up from seated position can prove more painful than within a section equipped with railings. From the engineering point of view there's no major issue regarding safe standing. As was showcased by Tottenham yesterday. The club released images of how their new stadium might see railings being installed between rows and providing safe standing conditions. 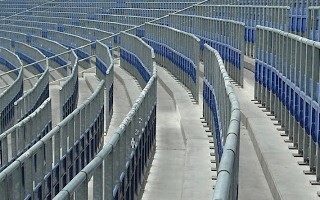 Meanwhile a fresh piece by New Civil Engineer provides quotes from stadium specialists who ensure English stadiums are ready for safe standing overall, even if potential conversions would surely come at different prices, depending on the area being reconfigured. Potentially most challenging is the issue of sightlines, but even it doesn't seem to be decisive. A piece of bad news comes to West Bromwich, whose request for a pilot programme was rejected by the sports minister earlier this year. Accoridng to Crouch's statement on Monday, the team would not be granted their wish until legislation changes officially.